Skoda Karoq Running Costs, MPG, Economy, Reliability, Safety | What Car? On the face of it, the Karoq appears more expensive than the Seat Ateca, but that’s because Skoda doesn’t offer an equivalent to Seat’s entry-level S trim. Compare their like-for-like trim levels and you’ll find that while the Karoq is slightly pricier, it comes with more equipment. 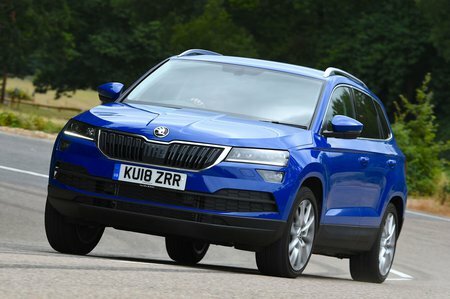 The Karoq’s running costs, such as insurance and servicing, are very much in line with the Seat, although predicted resale values infer that the Karoq will lose slightly less money in depreciation after three years. Despite the 1.5 TSI 150 being our favourite engine, it’s not as economical in the real world as the Ateca 1.4 TSI 150. In our True MPG tests, the Karoq managed a relatively disappointing combined 36.0mpg. It still has similar CO2 emissions to the 2.0 TDI diesel and actually sits in a lower BIK tax bracket – something for company car users to bear in mind. The best company car choice for low benefit-in-kind tax is the 1.0 TSI, however. Entry-level SE trim looks to be the best value for money. 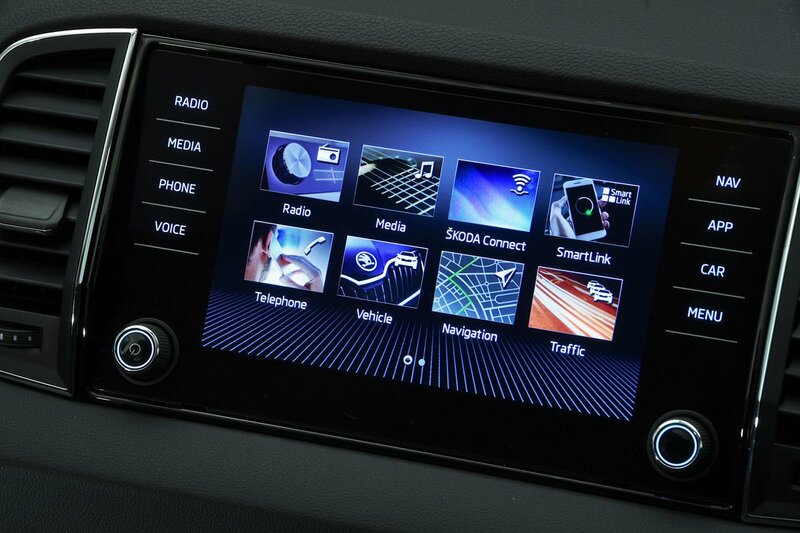 It comes with those goodies that many take for granted, such as 17in alloy wheels, electric front and rear windows and cruise control, but also offers more sophisticated touches such as and dual-zone climate control and the excellent 8.0in touchscreen system we detailed in the infotainment section. 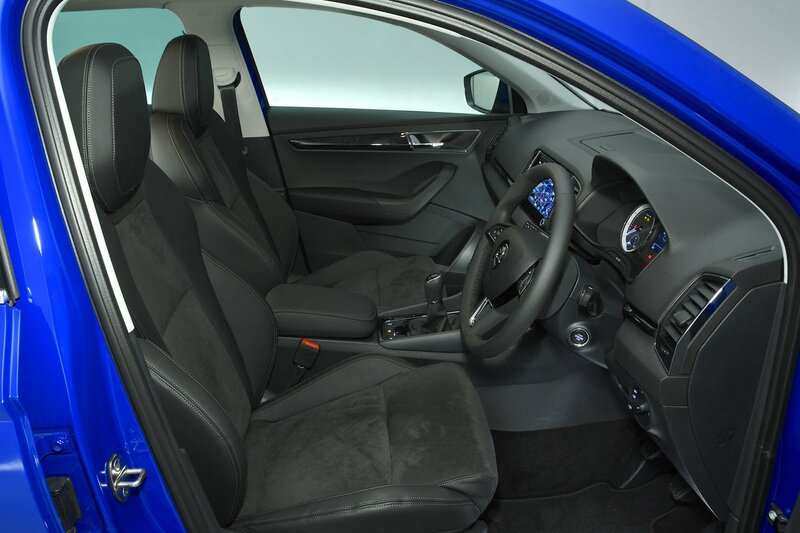 That said, we’d definitely add the optional the VarioFlex seats for the extra versatility they provide, and it’s worth considering some of the less expensive options that make life easier, including a heated windscreen and a rear-view camera. SE Technology is a trim level designed with company users in mind, adding convenient features that include adaptive cruise control and front and rear parking sensors. SE L has a few extra luxury touches and is worth considering for its standard Varioflex rear seat and fancy built-in sat-nav. With Scout and Sportline, you’re mainly paying for the unique look each has and neither seem worth the extra over SE L, even given their additional equipment. The Karoq Edition has tonnes of equipment, but is far too pricey to recommend. Skoda finished above average in our most recent reliability survey, finishing a creditable 7th out of 32 manufactures surveyed. To put that into context, Seat and Volkswagen were 10th and 17th respectively, while Peugeot came in at 24th. You get a bog-standard three-year/60,000-mile manufacturer’s warranty, which you can extend for a reasonable additional cost up to five years or 100,000 miles. All Karoqs should keep you relatively safe, thanks to standard automatic emergency braking along with the usual selection of airbags and other electronic safety wizardry. This helps the Karoq achieve its five-star Euro NCAP crash test rating, with good scores in the individual categories. Some points to note are that it markedly outscores the Peugeot 3008 for adult protection, but the 3008 and Ateca turn the tables with better child protection ratings. Options to consider are an additional Isofix point on the front passenger seat, and the pricey but fulsome Assistance Package 1. This includes adaptive cruise control, lane assist, blindspot detect, traffic jam assist and emergency assist, although it’s only available on cars with an automatic gearbox.